Have you used connections in your community to build your business or to sell your books? I know, I know, it can be really uncomfortable to put yourself out there and meet with people in person. (Shout out to my fellow introverts.) But, those face-to-face relationships can also be one of the most effective forms of marketing you have available to you. Going local can be your key to success both as an author and as an entrepreneur. 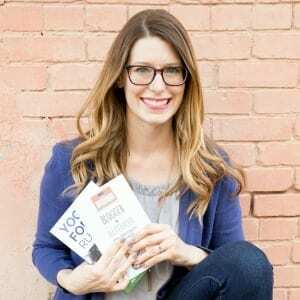 Episode 58 features an interview with Nicole Culver, business coach and strategist, and creator of the Local Leverage Method. We talk about the many reasons why you should go local, how to start getting visibility in your local community (including some great actionable steps you should take), and how you can utilize local relationships to sell more books. Speaking Engagements – Can you give a talk to any local groups or organizations that will highlight the expertise you share in your book? Think about local volunteer groups, women’s organizations, charitable organizations, or religious groups if they’re relevant to your niche. Check with your local library, too, and see if they’d be interested in having you give a free seminar. At the event, you’ll be introduced as an author, and you can refer to your book throughout your talk. Nicole Culver helps influencers and bloggers get more VISIBILITY + REACH so they can INCREASE their INCOME. She teaches strategies to get more visibility so they can do what they love and steadily increase income. Nicole helps you increase your visibility, be the go-to expert in your niche, and steadily grow your income doing what you love! Nicole is a work-at-home mom of three girls, loves the early morning and drinking too much coffee. Get Nicole’s Profit Guide here. Previous Post Episode 57 – Finalize Your Plan for Your Nonfiction Book (Outlining Your Nonfiction Book Part 2) Next Post Episode 59 – Should You Give Away Your Book for Free?